The guys talk about how writers writing has been influenced or affected by various electronic media now open to them, including e-books and podcasts, and integrating social media and the Internet in expanding those stories in different ways. 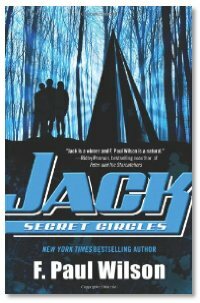 Interview: Jack: Secret Circles, the latest novel in the YA series about Repairman Jack's teen years, is out and F. Paul Wilson drops by "Cover to Cover" to talk about Jack's journey, and focusing on building up the foundation events that influenced young Jack to become the Repairman Jack we all know and love. Paul admits to having fallen under the spell that many writers dread: a supporting character who comes to life, takes on a mind of their own and takes over a story; and also expands on his reasons for setting up a limit on both the Young Jack stories and on the Repairman Jack series. He's also getting help from fans of his old science fiction novels in getting them converted to e-book and Kindle formats to get them back where they can be available to readers who haven't been able to get these books until now. If conventional publishers' days are numbered they are not going to be replaced be freelance authors because traditional publishers don't just transport dead trees about but usually do a degree of quality checking through the slush pile, copy and proof edit their publications and check the end product for conformance to some standard. So we trust them and their products. They and the bookshops and online shops also provide us with a centralised place to search for the type of book we currently are looking for. The current system offers a high level of convenience. 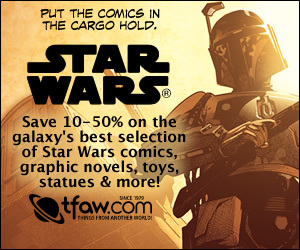 On the alternate front podiobooks.com in its small way offers that type of convenience but there's no alternate system being put in place. Given that writer such as Michael Stackpole have been squeezed out of the midlist and are looking for high quality and volume outlets for their work, what could you or someone else with the savvy offer to writers and readers a system that addresses your view of technological developments that would ensure some level of quality and convenience and control to the writers of the content.